LAW FIRM OF REED STEWART TOLBER, P.A. These advertisements are misleading. The truth is that your claim doesn’t have to be handled like a “business transaction.” And, if you are truly injured as a result of someone’s negligence, you rarely need to “fight” for fair compensation. If that is true, you might ask, then why do I need to hire an attorney at all? The answer is simple. Insurance companies have to handle thousands of claims every day. Their employees do not have the resources to quickly gather all of the evidence necessary (medical bills, medical reports, photographs of the accident, police reports, etc.) to quickly, completely, and accurately evaluate your claim. Nor are all of the insurance company employees trained in recognizing the applicable laws that may provide a legal basis for your claim. When you hire a lawyer who has built a reputation in your community as trustworthy and competent, a lawyer who is known to specialize in injury claims, more often than not, that lawyer can guide you (and your insurance company) so that your claim is more quickly and effectively evaluated for the maximum compensation you deserve – without a “fight” – in other words, without having to file a lawsuit that will take years to resolve. Insurance companies aren’t out to cheat you from what you fairly deserve, their employees just aren’t always equipped to make that determination or to be certain about it. For the past 25 years, The Florida Bar has recognized my expertise in trying cases to juries by awarding me the designation of “Board Certified Civil Trial Attorney.”1 Not every lawyer is awarded this designation. This is a prestigious designation that recognizes my experience in the area of civil trial. It is only awarded to trial attorneys who meet rigorous experience and examination requirements, and who are recommended for the award by other trial attorneys and judges. Other lawyers have given me the highest rating for competence and trustworthiness a lawyer can achieve (an AV rating) in a publication called Martindale Hubbell. This business rates the competence and reputation of lawyers throughout the world. Check it out. Martindale Hubbell is online. I have represented folks who have suffered serious injury from negligent doctors, negligent lawyers, negligent automobile drivers, negligent truck drivers, negligent restaurants, negligent dog owners, negligent property owners, etc. Consequently, when you ask me to help you with your claim, I know what documents and other evidence will be useful and persuasive to maximize the amount of money you will recover to compensate you for your medical bills, lost wages and misery. I know how to competently preserve, gather, and present, the evidence that will support your claim so that you receive fair compensation – quickly. If I am presenting your claim for compensation, the insurance company (and/or the lawyers for the person or company that negligently caused you damage) know that if they don’t offer you the money you are due, you have the help of an attorney who can, and will, effectively present your case to a jury – so that you will recover fair compensation. However, because of my reputation, in the past 36 years, about 99% of the claims I have presented have been fairly settled without the delays and expenses of a lawsuit. So the question you need to ask yourself is what kind of lawyer do you want to help you with your claim? An “aggressive” lawyer who falsely scares you into thinking your are in for a “fight” (and that’s why you need to hire him/her) or, would you rather work with a lawyer who, like me, has the proven experience, skill, and training, to present your claim so that you get the best results in the least amount of time without necessarily having to “do battle,” a lawyer who has a reputation for only representing those who have truly suffered damage and are deserving of fair compensation and restitution. Contact me for a free consultation about whether you indeed have a claim and to discuss the potential compensation you should reasonably expect. 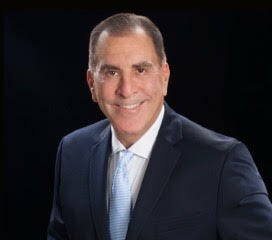 You may reach me at any time at either of the following telephone numbers: (954) 523-4101. You can also email me at reed@tolberlaw.com. Any way you choose, you will reach me directly and will not have to speak to a secretary or receptionist or paralegal. If you have to leave a voice mail, I will personally return your call, usually within the hour. 1 Unlike Florida, Virginia does not designate attorneys as board certified in any area of law nor does it have a procedure for adopting and/or approving the Florida State Bar’s board certification. For the past 25 years, the Florida Bar has recognized my expertise in trying cases to juries by awarding me the designation of Board Certified Civil Trial Attorney.1 Not every lawyer is awarded this designation. This is a prestigious designation that recognizes my experience in the area of civil trial. It is only awarded to trial attorneys who meet rigorous experience and examination requirements, and who are recommended for the award by other trial attorneys and judges. Other lawyers have given me the highest rating for competence and trustworthiness a lawyer can achieve (an AV rating) in a publication called Martindale Hubbell. This business rates the competence and reputation of lawyers throughout the world. Check it out. Martindale Hubbell is online. 1 Unlike Florida, Virginia does not designate attorneys as board certified in any area of law nor does it have a procedure for adopting and/or approving the Florida State Bar's board certification. If I agree to represent you, you will not pay a penny for my services, nor pay any of the costs of prosecuting your claim, unless I recover money damages from the person(s) causing the automobile accident and your injuries. If I am able to recover money damages for you or your family, my fee will be a percentage of the amount recovered in accordance with the standard fees for this kind of case. Again, if you are not sure whether your claim qualifies as a serious injury, I am glad to speak with you in a free consultation to give you my opinion about your case. Please feel free to call me at (954) 523-4101 to tell me what happened and describe your injuries. When you call that number, I will either answer the telephone or you will get my personal voice mail. If you get my voice mail and leave your name and telephone number, I will personally return your call, usually within the hour. © 2019 TOLBER LAW CENTRE.